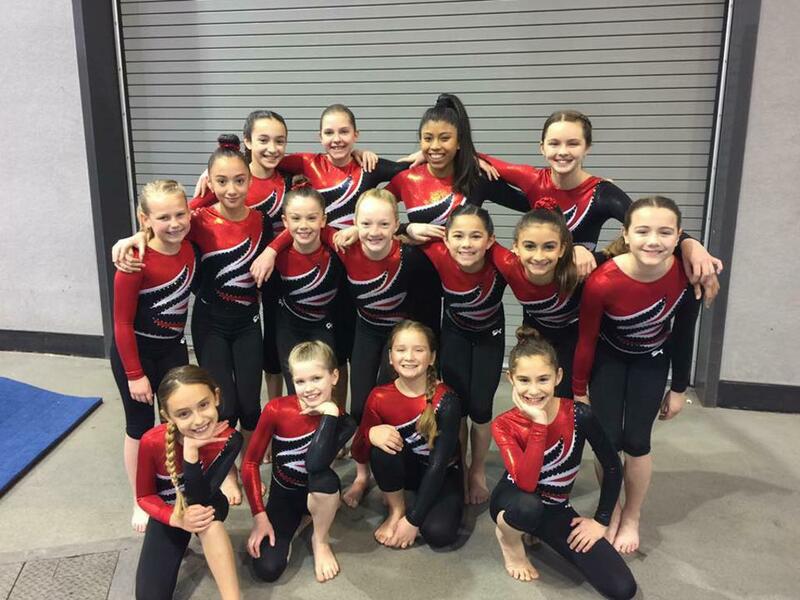 The Purpose of the KGDC Xcel Competitive Team is to compete locally in USA Gymnastics Xcel sanctioned events. To provide a team environment where young gymnasts can showcase their gymnastics talent in competitions. To promote self-esteem and confidence in young gymnasts and help them achieve their potential as an athlete. To learn the value of commitment, hard work, and dedication. Bronze is the first division of competitive gymnastics in the KGDC Xcel Program followed by Silver, Gold then Platinum. Xcel athletes will practice twice a week with practice times ranging from two to 2 ½ hours per practice. Each Xcel Division is based on a monthly tuition ranging from $150- $170/mo. with a $100 annual team membership and equipment fee. Xcel is sanctioned with USA Gymnastics; therefore the gymnast is required to be a member of USA Gymnastics. The KGDC Xcel participants compete in 4-6 competitions during the four month period, with the State Championship Meet scheduled mid to late March. All of the competitions will be local with the possible exception of the State Championship. The location of State changes from year to year. Xcel was developed for each athlete to have the ability to perform skills that best suit her while staying within a determined set of parameters. At KGDC we will have set choreography on beam and floor for each level with the flexibility to use different skills to attain each athletes highest potential. The bar routine and vault will be consistent throughout the level with possible minor changes depending on the athletes strengths. Each season the KGDC coaching staff chooses a competition schedule for each level. The final schedule is released in October or November. The season will begin in December. Gymnastics meets are on the weekends, beginning Friday and ending on Sunday, depending on the size of the competition. All KGDC Xcel participants are expected to attend all competitions including the KS State Championship Meet. If missing a competition is unavoidable, please contact Sarah immediately. Competing in meets is the result of you and your child’s commitment and hard work. Competitions are where your gymnast gets to show off her unique talent and the KGDC Xcel Team strives for excellence in these venues. Tuition will be withdrawn automatically via ECheck on the 7th of each month (June-May). Once we know each competition (meet) entry fee deadline, you will be sent a statement that month indicating the cost of that particular meet (including team entry fee and coaches fees). Payments for all expenses other than tuition must be made with cash or check. Due dates will vary.